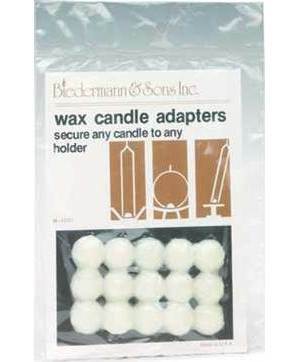 Secure loose candles inside their holders with these wax adapters. Created to aid candles stay upright, straight and tight within their holders for a safer burn. This is a sealed 12 pack of white wax candle adapters designed to aid a large variety of candle sizes and holders.